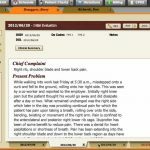 BackChart electronic health records (EHR) software is a web-based solution specifically designed for Chiropractors. 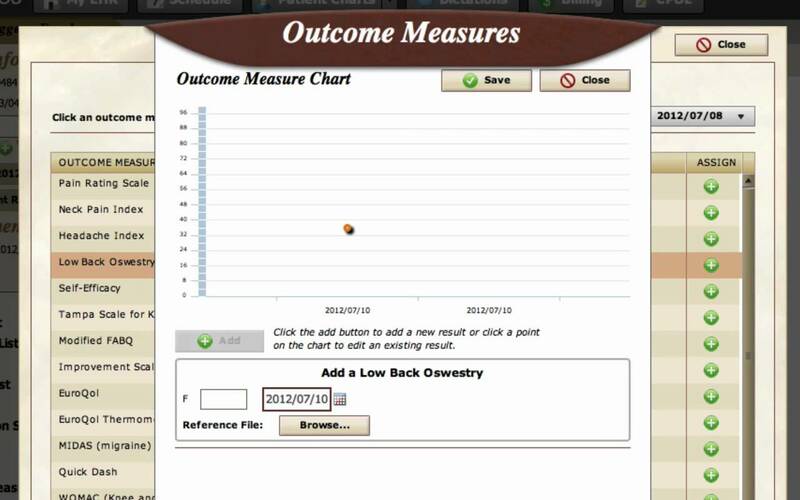 BackChart EHR software is designed for midsized and small sized practices. 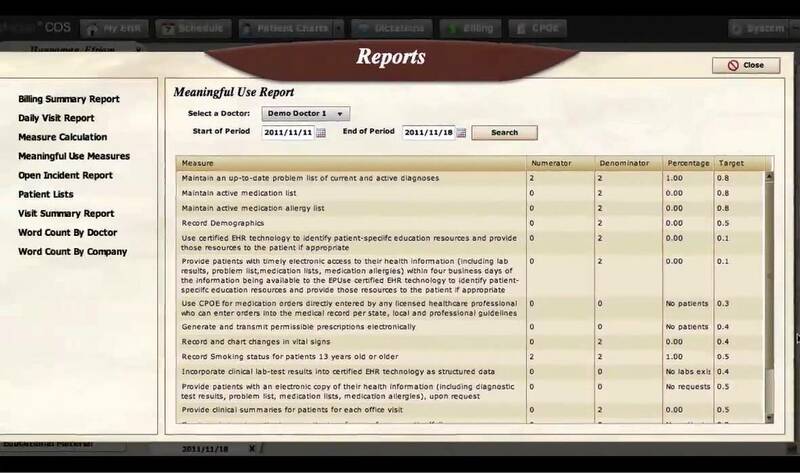 The meaningful-use certification, Paperless environment, generation of E-Prescriptions and creation of charts and graphs for medical records are some key features of BackChart EMR software. 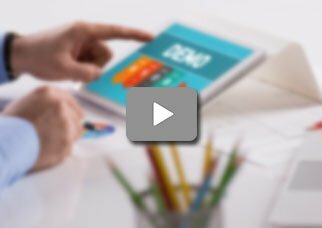 BackChart EMR software enables practitioners to handle medical billing as well as schedule appointments within the application. 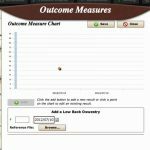 BackChart EMR software has the capability of reusing text which enables users to save valuable time. BackChart electronic medical records (EMR) software also provides an intuitive patient portal where patients can fill their own details such as insurance status and demographic data, and they can even update their health status on the portal. Besides this, the patients can pay their medical bills, view their prescriptions and even contact the doctor anytime directly just by using their personal portals. 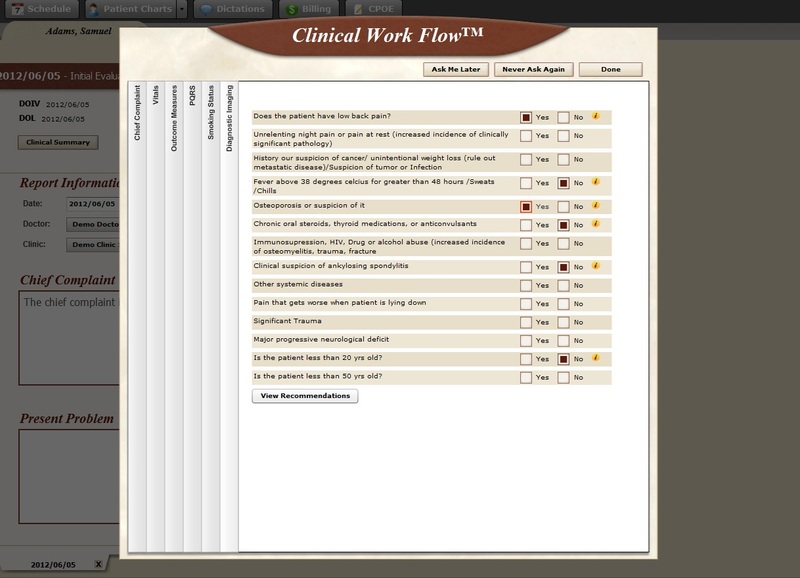 BackChart EHR software includes the customization of the documentation process according to the practice’s requirements. 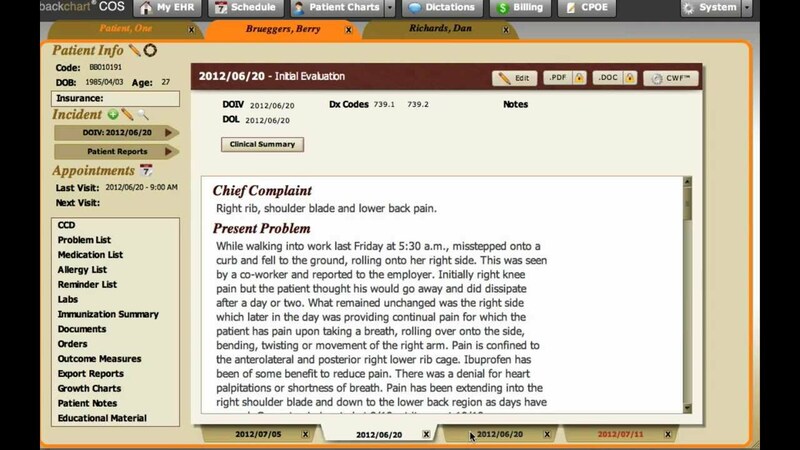 Users can even make clinical notes just by verbally dictating to the application and the best part is that it will only record in the doctor’s own voice as it is equipped with a voice recognition module. BackChart EMR software now comes integrated with The Cvikota Company’s as well as Kareo’s Practice Management and Billing Modules making BackChart a fully functional suite which has all the capabilities to make this a standalone solution for the whole practice. Pros: I'm in a solo private practice of the last two year and have been using the software for over a year now I am glad. Cons: I especially like the macros and transfer of information options. 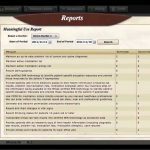 need to improvements in customer support. Verdict: The software key of features that helped me spend more time with patients and less time on the paperwork was the patient portal.